If you are a music lover, you may have many music files stored in your iOS devices, like iPad. These music files may come from various kinds of ways, like iTunes, streaming music app, CDs, etc. Imaging that you accidentally broken or lost your iPad, you will can’t find the music file back if you have no a previous backup. 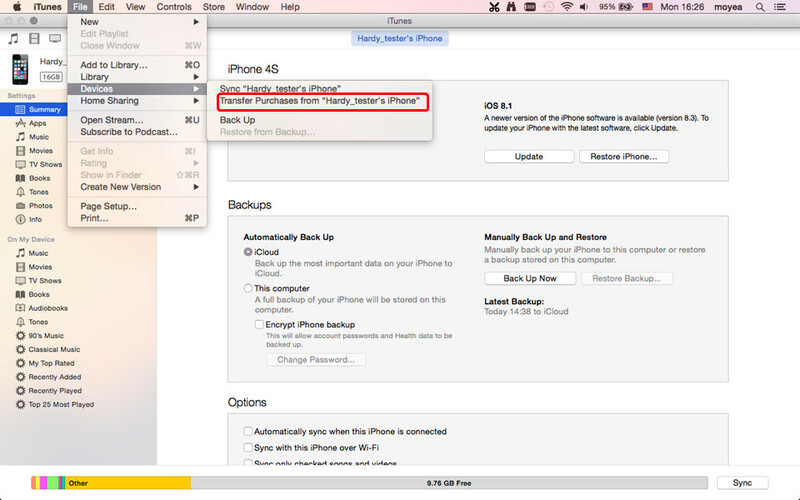 Therefore, it is important for you to transfer music from iOS to computer for a backup. Taking transferring music from iPad to Mac as an example, the following tutorial will show you how to finish the backup on computer. 1. Launch iTunes and go to “iTunes > Preference > Devices”, and check “Prevent iPods, iPhones and iPads from syncing automatically”. 2. Plug iPad into Mac via USB cable, and then iTunes will automatically start. If not, you’ll need to manually open it. 3. Click “File > Device > Transfer Purchases” at the upper left corner, and then iTunes will copy the transferred music files into iTunes library. 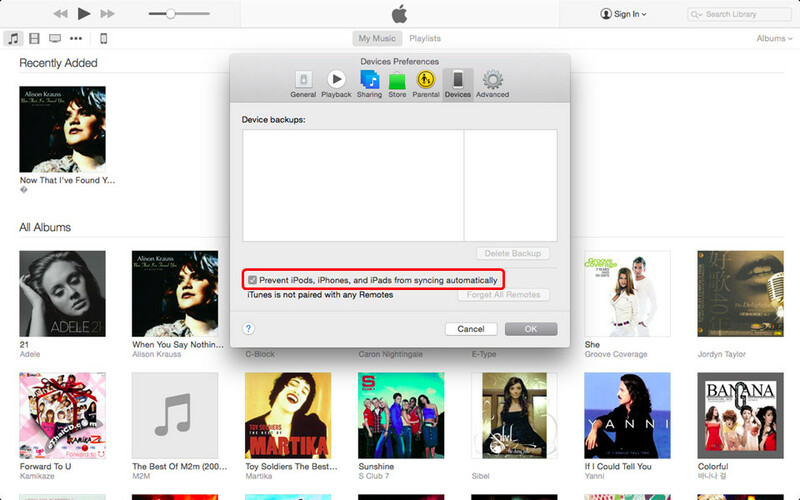 With this method, iPad users are able to move the purchased music files from iPad to Mac computer easily. However, many iPhone users worry about the loss of the non-purchased music files in their iPad, so they want to find other ways to finish the music transfer. The third-party iPhone transfer software will help people to transfer music from iPad to Mac computer, including all purchased and non-purchased music. Among all the transfer programs, Leawo iTransfer is one of the best. Leawo iTransfer is a powerful iPad, iPod and iPhone transfer program which makes the data transfers among iOS devices, iTunes and PC incredibly easy, and it also helps backup iPhone, iPad and iPod data to computer. It is user-friendly, and users are able to handle it with no efforts.The following guidance will show you how to transfer music from iPad to Mac with Leawo iTransfer, and you are allowed to free download this software to have a try. Note that the trial version has limited transfer times. 1. 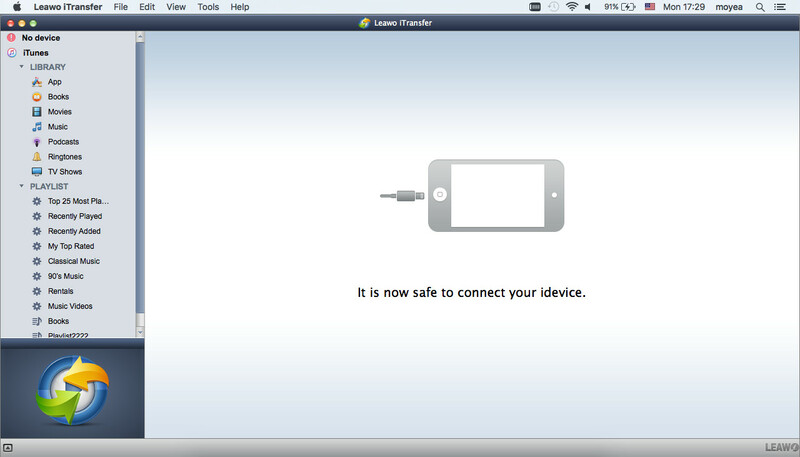 Run Leawo iTransfer and connect iPad to your Mac with the USB cable. The software will automatically detect the libraries of your iPad, and then list the libraries in the left sidebar. 2. Choose “Music” in the left sidebar, and then the contents will be shown in the right part of the window. Click the transfer button at the right bottom to transfer all the music files to Mac. Or hold “Command” key and click to choose certain music files, and then right-click the chosen files to “Transfer to > My Computer”. 3. After selecting music files, the dialog of transfer settings will pop up. Check “Save to Folder” and click “Change” to choose a folder on your computer as target. If you want to save the music files to iTunes library, just check “Transfer to List: iTunes” in the dialog. Then click “Transfer Now” to start transferring music from iPad to Mac computer. 4. The progress bar in the pop-up dialog will show you the percentage of the transfer process. The names of the music files will also be shown in the dialog. When the transfer is ongoing, please don’t disconnect your iPad. After the music transfer, you will get the music files in the target folder.